The mascot is truly magical. If llamas are the new unicorns (at least according to Pinterest, which experienced a surge in llama-themed cake and cookie searches last year), are caticorns (cat + unicorn) the new llamas? Don't answer that. Instead, gaze upon this magical, limited edition breakfast cereal, which was just released today. This isn't the first time Kellogg's has a launched a cereal inspired by a mythical creature. In February 2018, the brand's Unicorn cereal hit store shelves. Unicorn was...pretty similar to Caticorn, actually. At least aesthetically—it featured pink, purple, and blue loops dotted with white sprinkles. Taste-wise, it was intended to be "magic cupcake" (a.k.a. cake batter) flavored. And Sam's Club also has a history with unicorn-inspired foods. Last March, they debuted a massive, three-tier unicorn cake designed to feed 66 people (they then released a Christmas version of that same cake for the holidays). If 2019 truly is the year of the caticorn, maybe there's a Sam's Club caticorn cake in our future. In the meantime, while it's true that caticorns haven't reached unicorn or llama levels of popularity, their fanbase is growing (as evidenced by the not-insignificant amount of merch that shows up when you type "caticorn" into Google). 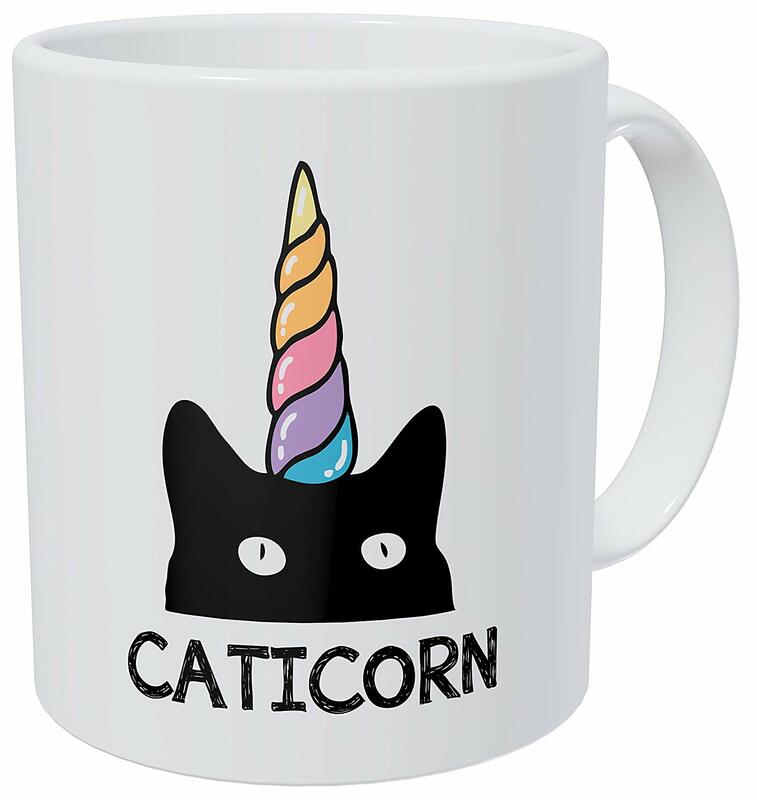 Like, this $12 caticorn mug for example! 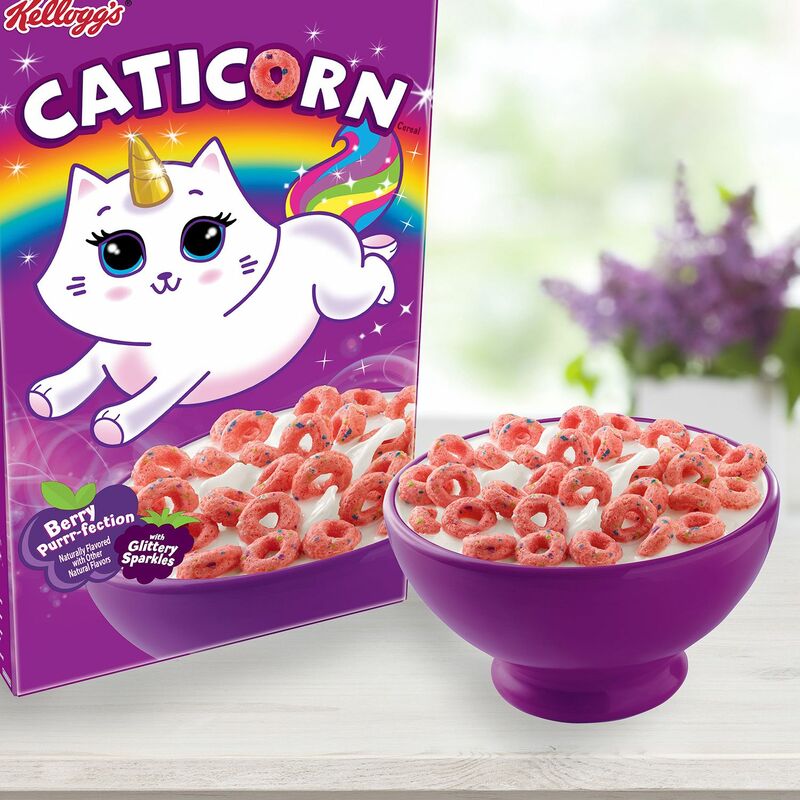 Imagine: filling your caticorn mug with coffee, and pouring yourself a bowl of Caticorn. 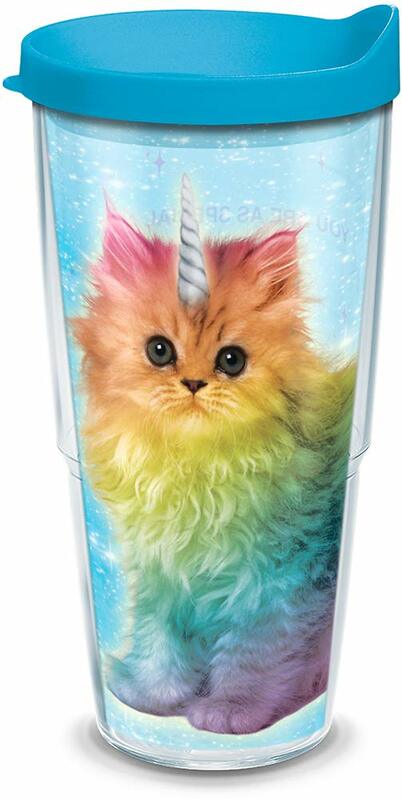 Or, if you prefer your morning coffee to go, there's this $22 insulated caticorn tumbler. Anyway, while Caticorn's time on this earth may be brief, caticorn merch will live on. 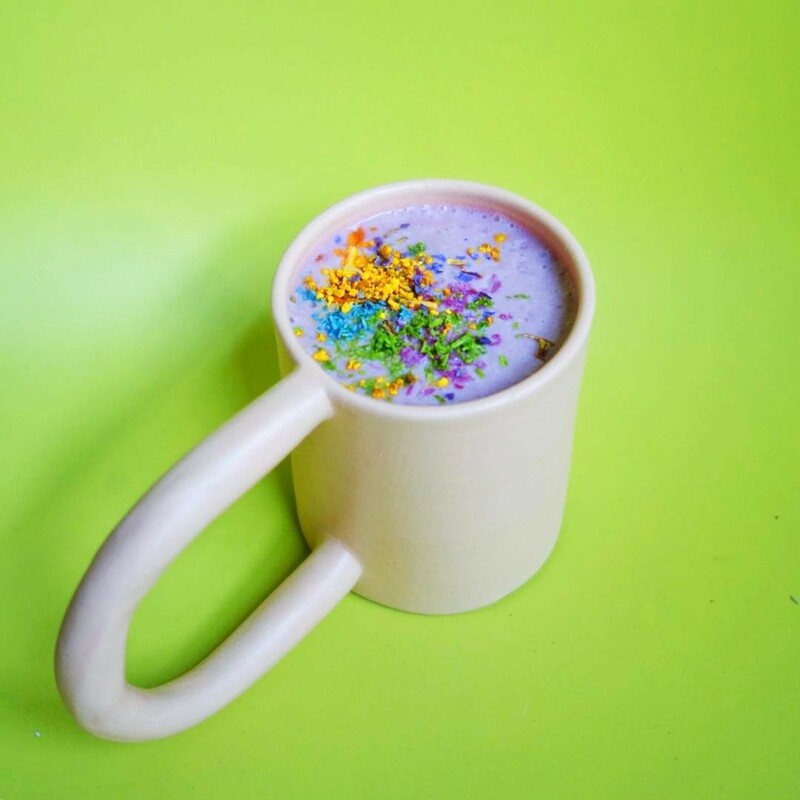 So will—we hope—the concept of "breakfast glitter."